Heck Of A Bunch: All New: Thomas & Friends: Big World! Big Adventures! 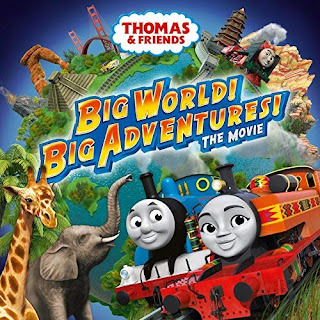 All New: Thomas & Friends: Big World! Big Adventures! 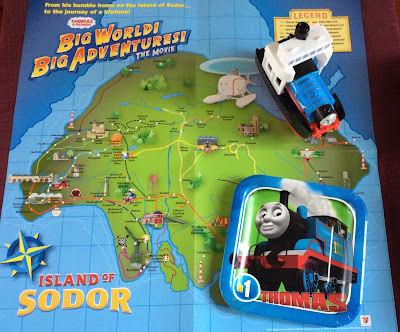 When a mischievous little rally car called Ace passes through Sodor on a race around the world, Thomas is inspired to embark on his own ambitious trip. Travelling full steam ahead across five continents, Thomas discovers magnificent new sights and experiences exciting places and cultures. Along the way, he makes friends with an inspiring and fun Kenyan engine called Nia. With so much for Thomas to learn about the world, will Nia be successful in teaching him a lesson about the true meaning of friendship? Featuring a world of wonder, curiosity and amazing animal friends, join Thomas on an epic adventure, fulfilling his dream of seeing the world! On September 7th, Thomas the Tank Engine left behind the Island of Sodor to explore the world in his all- new movie “Thomas & Friends: Big World! Big Adventures!” In the film, Thomas will travel further than ever before, making new international friends, learning new ideas, and discovering new cultures. In addition to the new movie, “Thomas & Friends: Big World! Big Adventures! The Series” made its debut on September 17th. This all-new redeveloped series comes with exciting new features, from new locations and a gender-inclusive Steam Team, to new formatting seeing Thomas breaking the fourth wall, speaking directly to the audience and inviting kids along for the adventures! 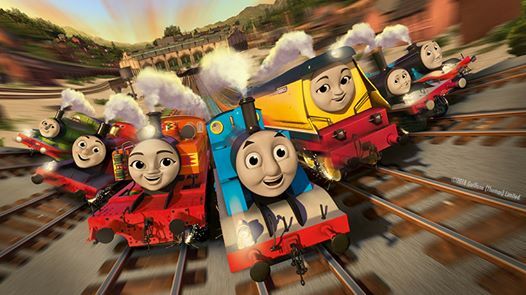 The series is also about to get serious about female empowerment as they welcome a new engine all the way from Kenya named Nia, who is the absolute equal of Thomas the Tank Engine and the other male engines populating the Island of Sodor. She’s independent, a great problem solver and fast learner, who is also a real optimist with a great sense of fun. Additionally, along with the revamped series comes new music and an all new theme song that little engineers are sure to love. The new music is now streaming on Spotify. With the release of "Thomas & Friends: Big World! Big Adventures!" comes new toys. A couple of the new Train Sets are the Twisting Tornado Set and the Mine Collapse Set. 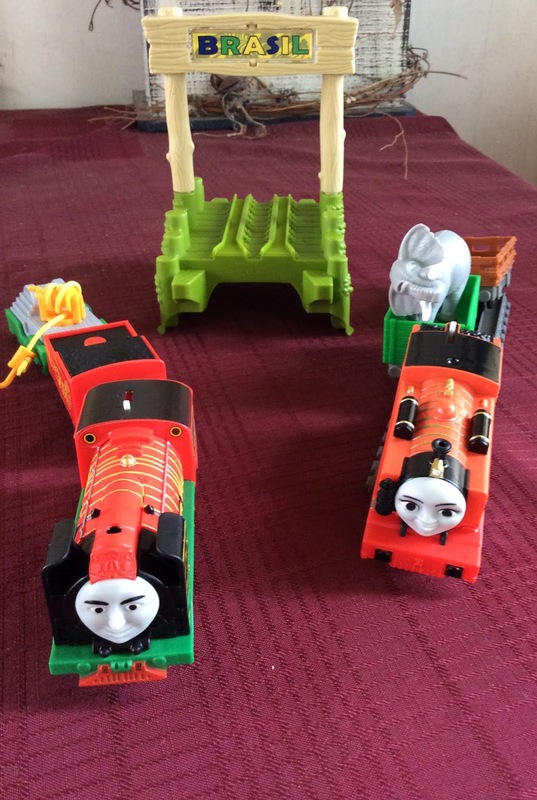 New Engines include Thomas, James, and Spencer. Runaway Stephen and Nia & the Elephant are part of the Greatest Moments Collection. Railway tracks can also be purchased in sets. I hosted a Thomas & Friends viewing party with a few of the littler kiddos in my family. Already being fans of Thomas the Tank Engine and all his friends, they were excited to see the new movie and a few episodes of the new series. Already building on parts of what fans are familiar with, viewers can experience the world of Thomas & Friends with more humor and new characters. Three new characters are Ace the Racer, a rally car from Australia and Nia, a female engine from Africa and Rebecca, an engine from Sodor.